With our twin-centre itinerary to Miami and Key West, you’re sure to find the perfect American combination of sun, beaches and relaxation. 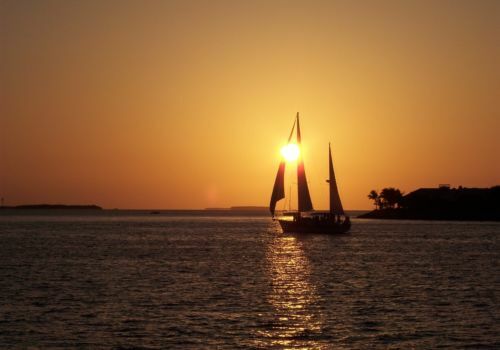 Spend three nights in Miami before driving south to the tropical Florida Keys where you’ll stay in beautiful Key West. Stop off in the Everglades on your way down and drive the famous seven-mile bridge over expanses of water. Why not tie in your trip with Key West LGBT Pride which happens every year in June. It is one of the biggest pride events in the world. Arrive in Miami and pick up your rental car from Miami International Airport. Drive to your Out Of Office recommended hotel where you’ll check in and stay for three nights in beautiful South Beach. Explore the nightlife, the beaches and the surrounding area to soak up the Miami vibe in its countless cafes and boutique-lined boulevards. Famous for its fun vibey atmosphere, head to South Beach and experience the typical stereotype of Miami. Start the day with a champagne breakfast at one of the beach club bars. Play games on the long stretch of sandy beach with friends, and have a dip in the lovely warm sea. Head to Ocean Drive and Collins Avenue where you may recognise the scenery as every movie that was ever filmed in Miami was filmed here. If you want to get a hint of Cuban culture then head to Little Havana. Pick up your Cuban cigars and take a stroll around the many shops and cafes scattered in the area whilst the air is filled with the faint sound of Latin music. Check out the Azucar Ice Cream Company and get a taste of true Cuban ice-cream. Mix up your holiday and head to the beautiful Botanical Gardens. Escape from the busy non-stop city centre to this tranquil paradise. Wander around the 2.5-acre gardens and take in the aroma of nature. Relax under a palm tree or fill your basket with local produce from the farmer’s market. For the party animals out there, Miami has a great party scene with lots of great bars and clubs for you to check out. If you are looking for glitz and glamour, then head to club Cameo. This renovated art deco movie theatre attracts a swanky crowd, so make sure you dress the part. Miami is also filled with loads of great bars on the beach. If you don’t fancy putting your dancing shoes on, then head to Nikki beach club and enjoy a cocktail on the beach. Drive from Miami to Key West – via the Everglades – and either drop your rental car on arrival or hold on to it. The beautiful Florida Keys are a small set of tropical islands off the southern tip of Florida and are renowned for their laid-back vibe and inclusivity. 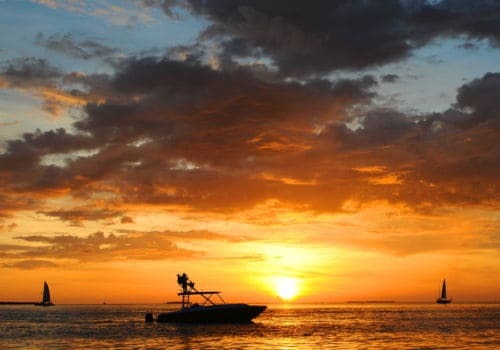 It’s a destination for that thrives on ocean life – fishing, boating and scuba diving. 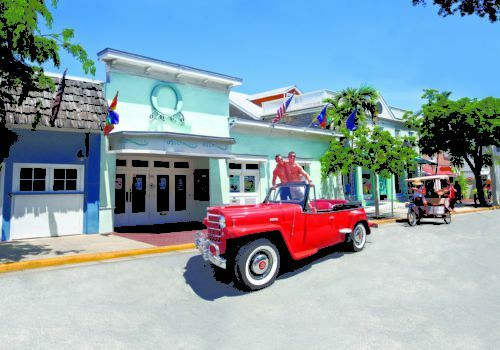 Duval Street in Key West is famous for its many bars, Mallory Square’s nightly Sunset Celebration which sees visitors from all over the world come to watch the stunning Gulf of Mexico pink and red sunset. You’ll find magicians, jugglers, clowns, psychics, local musicians, artists, and food vendors that combine for an incredible cultural experience. Whilst you are there, why not fill your time with some of our suggested activities. Head out onto the water and sail around the coastline on a gorgeous yacht. We can organise gay only sailing trips and can also arrange private boat tours. If you fancy getting a little closer to the sea itself, then why not try stand up paddleboarding. This has become very popular in many coastal towns, including Key West. Imagine yourself ‘Walking on water’ as you glide around the shores, you will be lead by a guide. 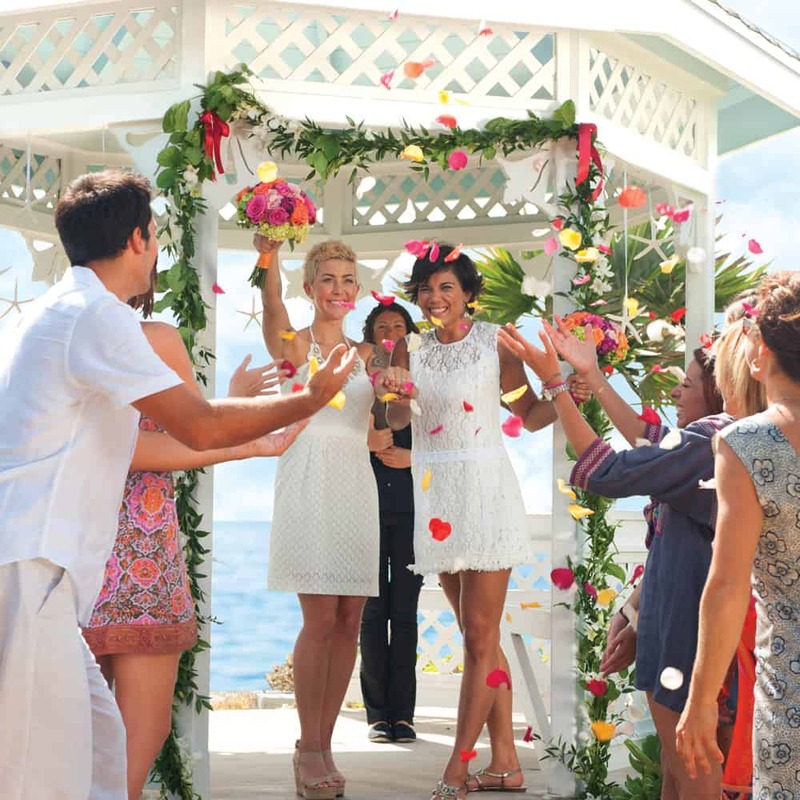 Getting married in Key West is now legal for all couples. There are some beautiful venues to choose for your destination wedding. 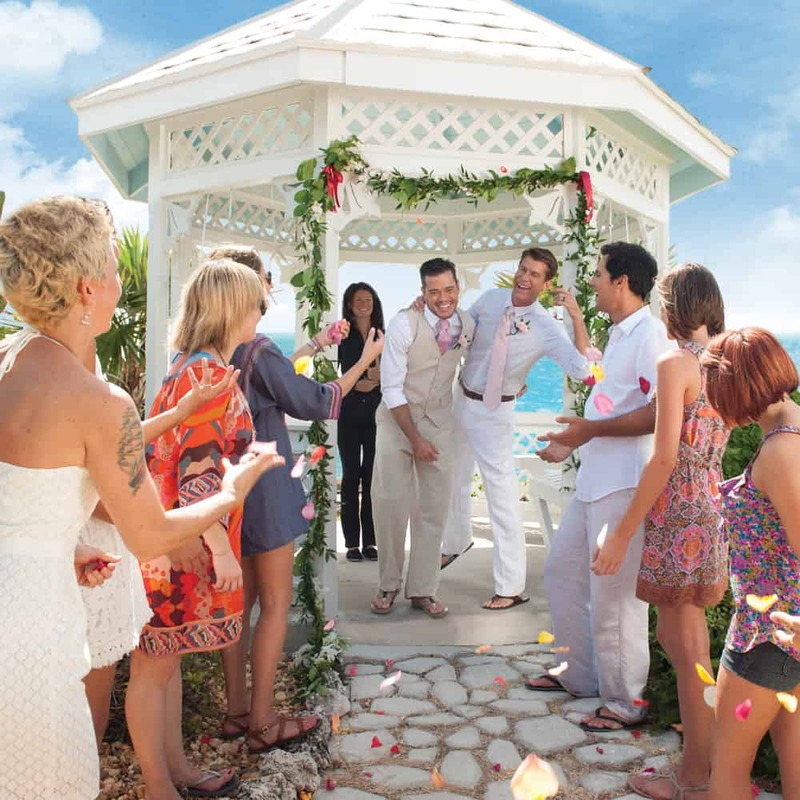 From a beach wedding to one on a yacht, we can help arrange your perfect day. There are a few legal requirements for getting married in the USA if you don’t have residency but we will help guide you through this to ensure that you have the ideal wedding. From the photographers to accommodation for your guests, one of our specialist wedding team will be able to advise you on the best options for you.